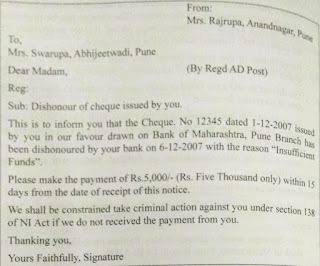 At times you may find that a cheque has been dishonoured and you can issue Notice within 30 days of dishonour intimation. You can file a case under Sec 138 of Negotiable instrument act anytime between 30 to 60 days. 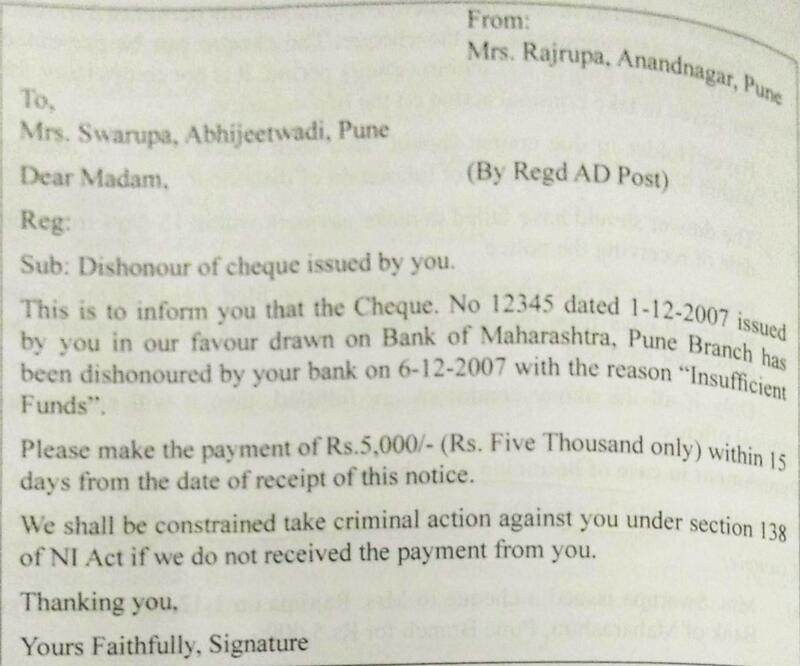 Template for sending notice is as given in adjacent image.